I love to meet my fans! Attend a public event, or contact me to speak at your school, book club or private event. Stop by my booth at the the Christmas on the Fox Art & Craft Show in beautiful St. Charles, Illinois! Enjoy holiday shopping and fun with friends and family. 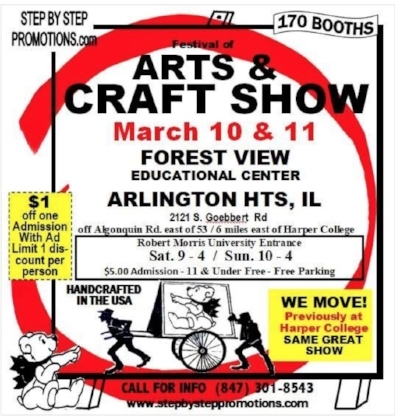 Stop by my booth at the annual Festival of Arts & Crafts show! I’ll be there with copies of my three novels and will be available for signing. Visit the festival’s Facebook Page. 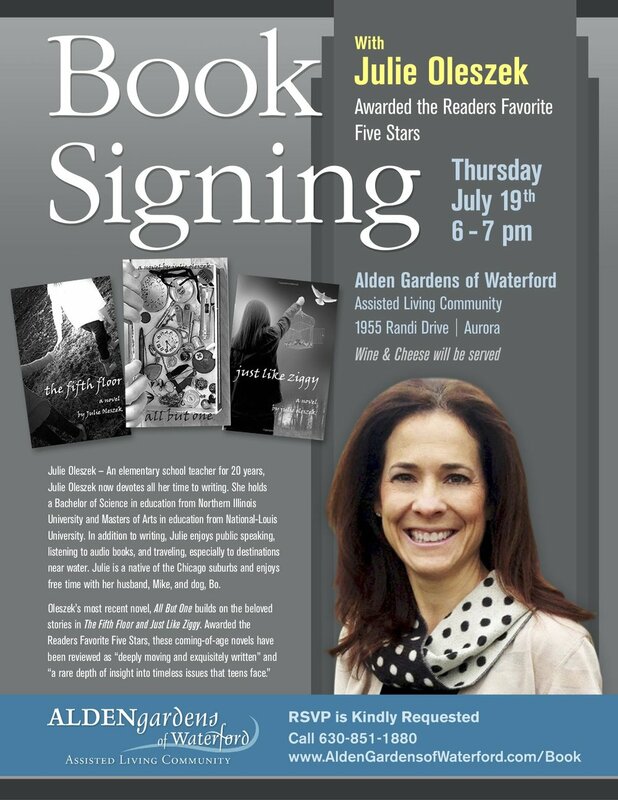 Alden Gardens of Waterford has invited me to a book signing. There will be wine and cheese to enjoy while listening to a reading from my latest book, All But One. Public Welcome at this FREE EVENT! I will have copies of all of my books available for purchase and signing at this event. Visit the show's Facebook page to learn more! For $1 off admission, show the photo, below, when paying admission. This is a privately-held event. To book yours, contact me! Attend the official launch of Julie's newest and final book in The Fifth Floor trilogy including a reading by Julie. Books will be available for signing and purchase. 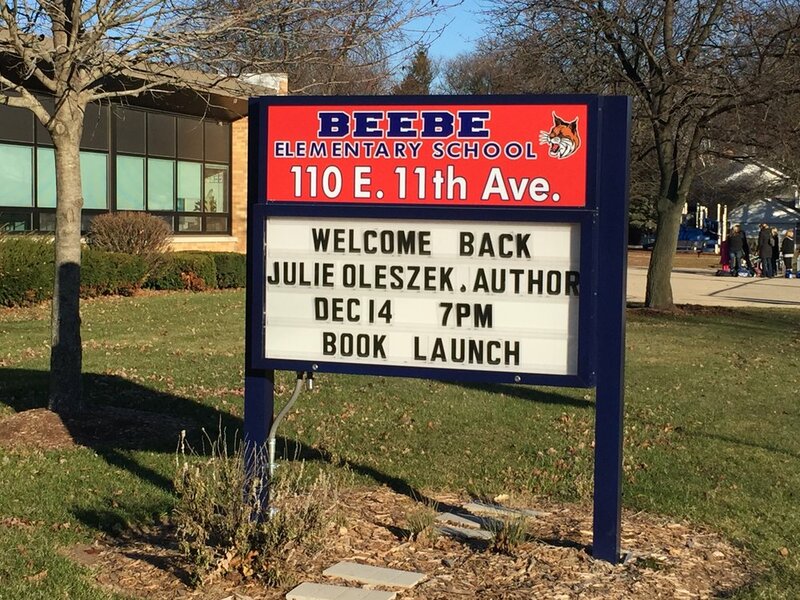 Julie will be available for signings of all three of her novels, including All But One, at a cozy shop in downtown Batavia, Illinois. Arrive early-- A limited number of All But One paperbacks will be available for purchase. Learn more about Gingerbread Junction here! The cost of admission is $4 for ages 12 and older with plenty of FREE parking. This year’s show will feature 180+ crafters and vendors selling handmade Christmas items, edible delicacies, treats for your dog, beautiful decorations for your home and much more in a 30,000+ square foot shopping area. Make a day of it - enjoy lunch prepared by Belgio’s Catering and get your freshly baked pie sold by the Flannigan Rifles Drill Team. A “Craft Your Own Bloody Mary & Mimosa Bar” will be available on Sunday for those 21 and older. For more information please call the Marmion Alumni Office at (630) 966-7665. The University of Wisconsin-Parkside is proud to present the 44th annual winter arts and crafts fair. This free fair features music, raffles, a silent auction, concessions, coat and package check, and great shopping! Exit Hwy E off I-94, 5 miles east to Hwy JR, Kenosha, Wisconsin. Need a map or further directions to campus? A distinguished artisans raffle and silent auction is held throughout the day in both Greenquist Hall and the Parkside Student Center. Items are donated by exhibitors and all proceeds support the Dr. Steve McLaughlin Student Leadership Scholarships. I will be at the Holiday Happening Craft & Art Fair located in beautiful Glen Ellyn this weekend! Stop by to say "Hi" or purchase a signed copy of my books! CLICK HERE FOR $1 OFF ADMISSION! NW corner of College Rd and Park Blvd in Glen Ellyn, IL. Just North of the COD Football Field. The Batavia Public Library hosts this monthly event welcoming local authors to give a reading and host a discussion about their stories. This month, Julie will be giving a reading of The Fifth Floor. Books will be available for purchase. The program is free and reservations are not required. Attendees are welcome to bring their lunch, or purchase food at the library's Chapters Coffeehouse & Café (call 630-406-8005 to pick up your order when you arrive). To learn more, visit the Books Between Bites site or contact Becky Hoag at 630-482-9157.